The former Delta State Governor, James Ibori, Thursday lost an appeal before a London court for a reduction in his jail term following his conviction for money laundering-related offences. Justice Anthony Pitts of the Southwark Crown Court had sentenced Ibori last year to a 13-year jail term, after he had pleaded guilty to charges that he embezzled £50 million during his eight-year tenure as governor of the oil-rich state. Ibori’s legal team had based its argument for a reduction in his 13-year jail term sentence on some purported promise by Justice Pitts that he could sentence Ibori to a jail term of not more than 10 years if he pleaded guilty to the charges filed against him. However, the Court of Appeal dismissed the argument, saying the promise was not emphatic enough to support the plea. There was a mild drama in the case as a team of the Court of Appeal justices previously empanelled to hear the appeal was changed at the last minute. The justices, led by Lord Justice Brian Henry Leveson, who were previously scheduled to hear the appeal were replaced on Wednesday by a new panel of justices, which presided over the case yesterday. Lord Justice Antony Edward-Stuart, who led Lord Justice Treacy and Peter Collier QC in the ruling, held that Justice Pitts’ promise of a lower sentence for Ibori could not be relied on for a successful appeal as it was not “emphatic enough”, according to agency reports of the court proceedings. He said even though Ibori’s counsel had “legitimate expectations” based on Justice Pitts’ insinuations of a 10-year sentence, the Southwark Crown judge did not emphasise or commit to a 10-year jail term for Ibori if he entered a guilty plea. He ruled that there would be no need for a long trial of the appeal as the justices had already familiarised themselves with the grounds of the appeal and had read the submissions of both sides. After the counsel had addressed the court briefly, the judges retired into the chamber and came back some 15 minutes later to deliver their judgment. Justice Edwards-Stuart, in rejecting the argument, said a money laundering offence should attract close to the maximum 14-year sentence. 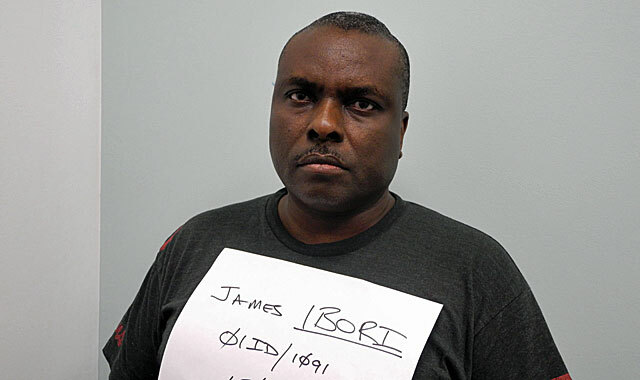 Ibori in February 2012 had pleaded guilty to 10 charges of fraud and money-laundering offences. His case was heard in London after prosecutors argued that although much of the fraud was perpetrated in Nigeria, some money passed through Britain and British banks. During his trial, the London court was told how the proceeds of the fraud were used to buy six foreign properties and a fleet of cars, although the judge said the total amount stolen might in fact be “in excess of 200 million pounds”. The biggest single fraud involved misappropriating $37 million in fees when under Ibori, Delta State’s stake in V-Mobile, the precursor to one of Nigeria’s telecoms companies, Airtel Nigeria Limited, was sold and the funds diverted. Eligible for parole halfway through his jail term, Ibori is likely to be released from prison in three-and-a-half years, having served one year since his conviction, a year beforehand while awaiting trial in London, and a year in Dubai from where he was extradited to Britain. Despite the court’s rejection of Ibori’s appeal, the former governor is still expected to appear in person at the Southwark Crown court for a three-week confiscation of assets hearing starting on September 16, 2013.